I’ve been using Sketch for quite awhile now and I absolutely love it. So I thought I’d put together a couple of tricks that I use on a daily basis that helped me become better and faster in Sketch. Copy styles between layers instead of copy and pasting color codes. Move layers up and down in your layer list with keyboard shortcuts instead of dragging and dropping. Sometimes it can be easier to drag and drop though, like if the layer list is out of sight for example. Use the Color Picker in Sketch to grab any color visible on your screen. 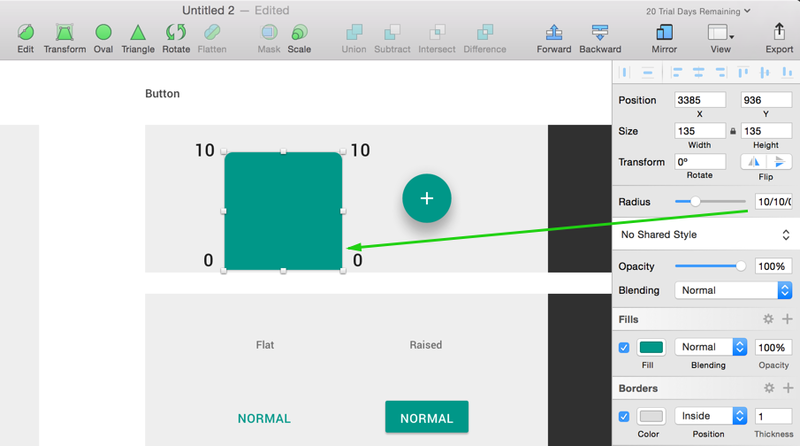 Use the built-in Color Picker in Sketch to grab any color visible on your screen. Use this handy shortcut to only make some of the corners rounded. TopLeft;TopRight;BottomRight;BottomLeft. Type in radius like 0;10;10;0 to only have rounding on certain corners. Screenshot is a bit out of date as sketch has changed this behaviour in on of their latest updates. Use symbols, use symbols, use symbols. A symbol is a group of elements you can re-use. Change one thing in a symbol and it changes everywhere. What you do is that you select a group “⌘+G”. After you’ve created your group you click Create Symbol in the toolbar and you have a symbol (shown as two arrows going around in a circle in your layer list). Below is an example of a symbol. It just makes working with your design feel so much nicer when you don’t waste time on repetitive tasks. Symbols: Change one thing — It’s changed everywhere. Screenshot is out of date. Right-Click on the toolbar to customize it. Don’t use dropdowns for things that you use often. 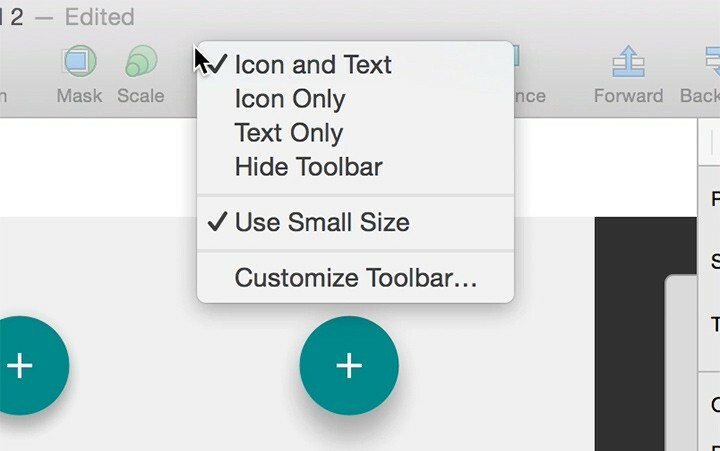 Customize your toolbar to have access to the stuff you use the most. Right-click on the toolbar and select ‘Customize Toolbar’. You can now drag and drop and remove items from the toolbar. Right-click on the toolbar to customize it! How your toolbar could look. Download Sketch Mirror and see how your designs look on your iPad or iPhone. It only costs $4.99 on appstore. It’s handy if you’re in doubt if some text or button you’ve made is actually big enough to see on an iOS device. Use the ‘Connect’ button in the toolbar. Make sure that you’re on the same wifi as your iOS device. You really only need one plugin nowadays and that’s Craft by Invision. 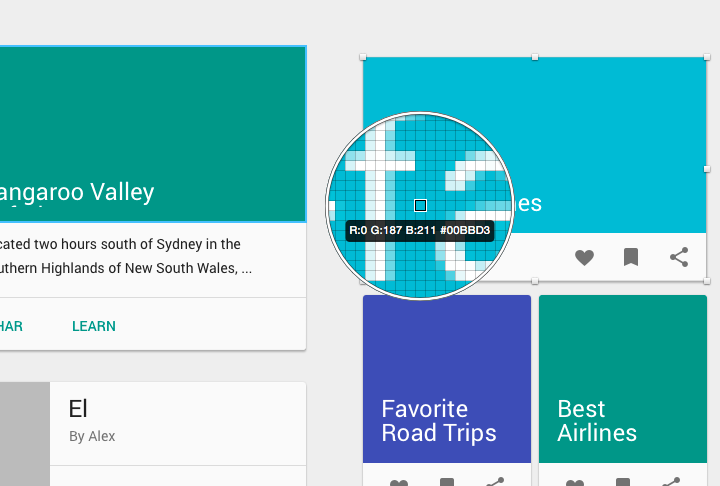 Craft is a suite of plugins to let you design with real data in mind. It’s super powerful and at the same time very easy to use. I can highly recommend it. If you want to show your new design to someone. Then get rid of all that clutter and do a nice presentation of your artboards. Use “⌘+.” to go to fullscreen presentation mode. Use “⌘+.” to go to fullscreen presentation mode. 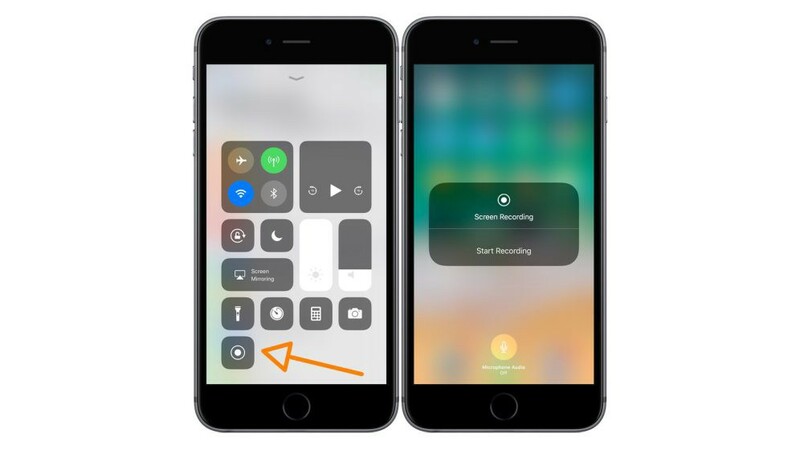 In iOS11 you can record your iPhone or iPad by opening Control Centre. To activate this feature. First go to Settings, then Control Centre, then Customize Controls. From within here you can choose what you actually want to see in your control center. From More Controls choose Screen Recording and Voila. You can now record your screen. All recordings will be saved to your photos.